Enhance your company’s exposure to the public; Increase the traffic flow through your store; Improve your sales and bottom line. Create a successful business image. Stand out from the crowd. Let us help bring your ideas to life. 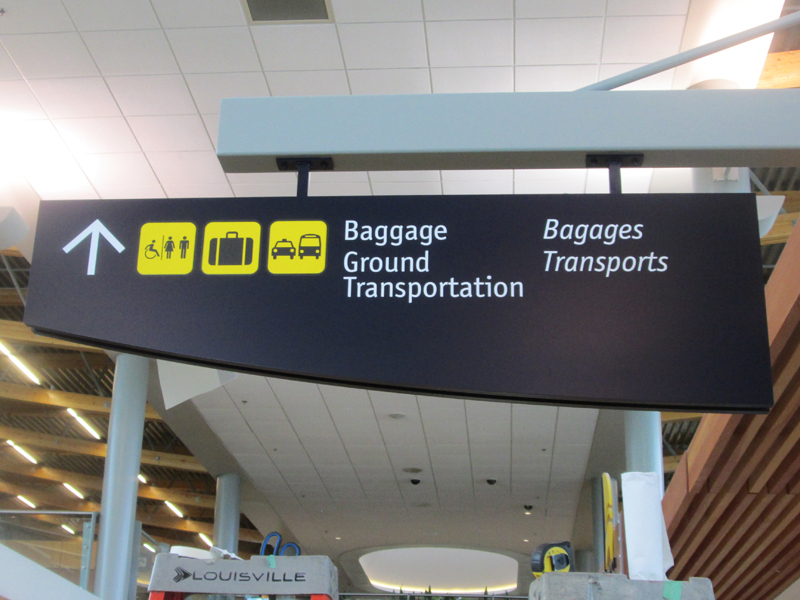 From concept to reality, we have the resources in place to ensure your signage needs are executed flawlessly and consistently. Let us bring your ideas to life! 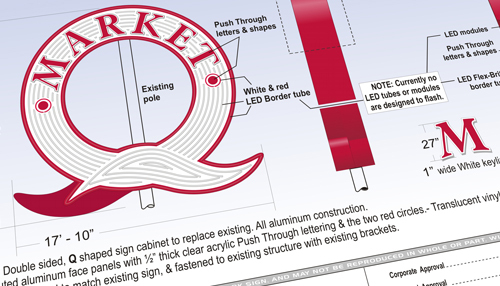 Landmark Sign has the resources to create anything your signage needs require. Our technicians are fully qualified with years of industry experience and committed to providing prompt, professional service. 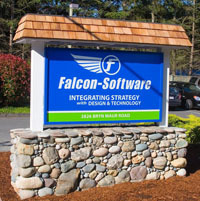 With the latest technologies in design and manufacturing, Landmark Sign can create the perfect sign for your business. 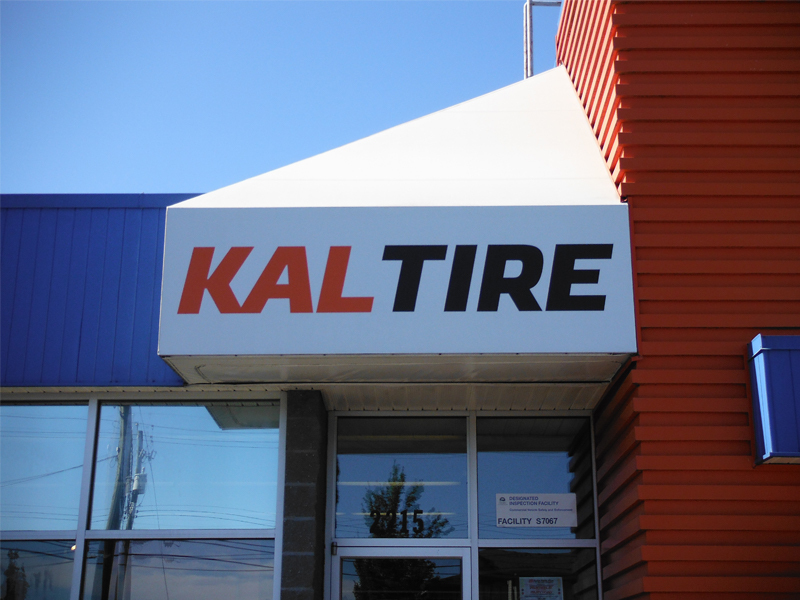 We offer flexible sign leasing and maintenance agreements tailored to your unique situation, so you can have the sign your business needs. 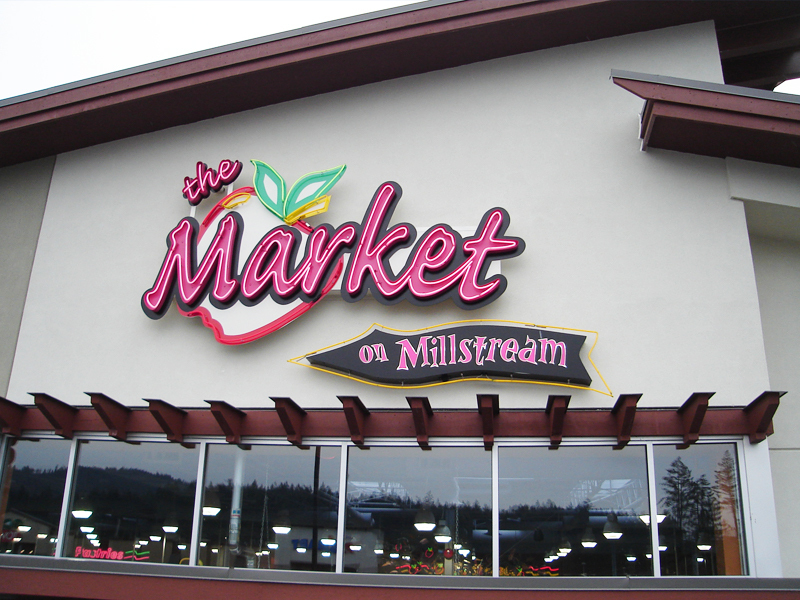 Every sign we manufacture is a reflection of the pride we take in providing products of the highest quality for our clients. 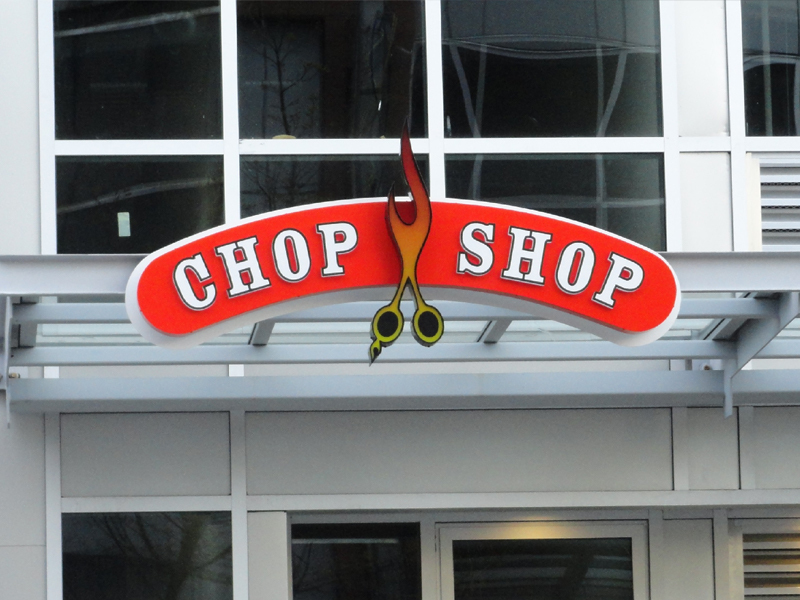 Our strict quality control standards and attention to detail ensure that your sign will always be the best possible reflection of your business. 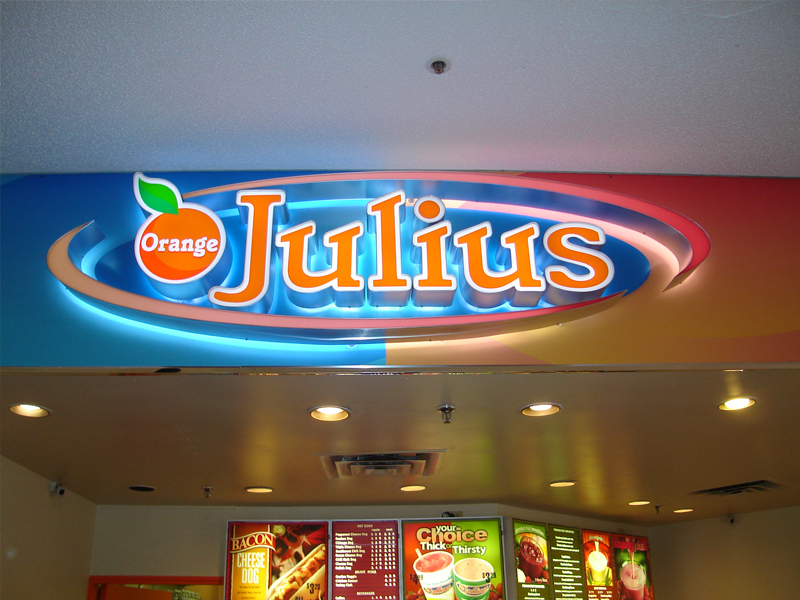 Whether you are looking for a new sign or want to retrofit an existing sign, Landmark Sign can provide a custom solution to meet your specific needs. We like to think out of the box to make your vision come to life. Building strong and lasting relationships with our clients is something we strongly value. 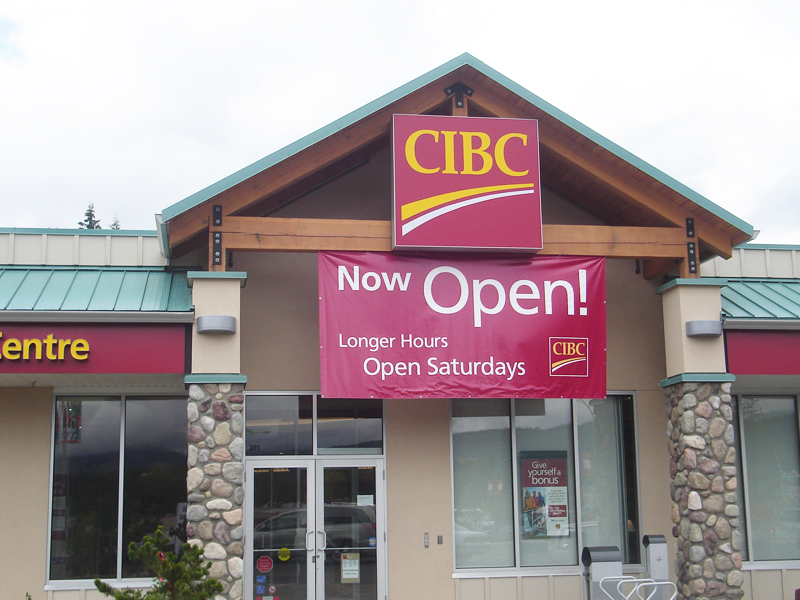 Your sign should function and look just as good years from now as the day it is installed, our dedicated team is here for you throughout the lifetime of your sign. Our experience with Landmark was a very positive one to say the least. With very little in the way of creative input from us, Landmark designed and installed a fantastic sign that far exceeded our expectations. 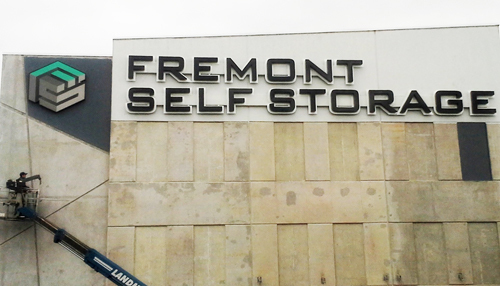 I highly recommend Landmark Signs to any business looking at making an impact with their signage. 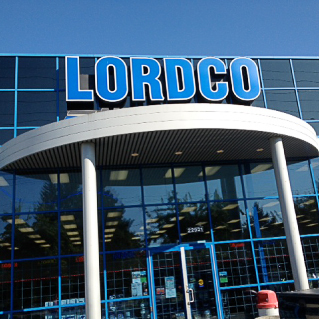 Lordco now has over 80 stores in B.C. 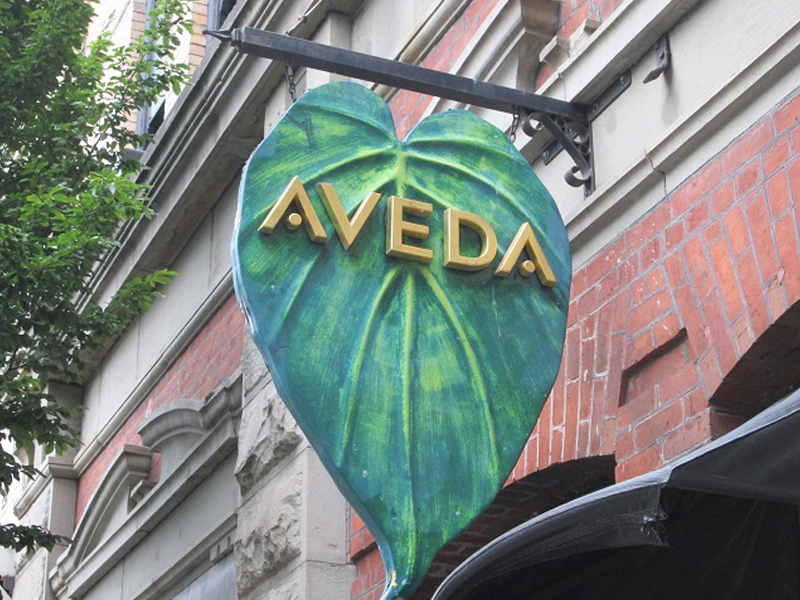 and we are pleased to say we have used the services of Landmark Sign Ltd. for over 5 years. They have been responsible for the majority of the manufacture and installation of all of our signage and we have been very happy with the quality and service we have received. 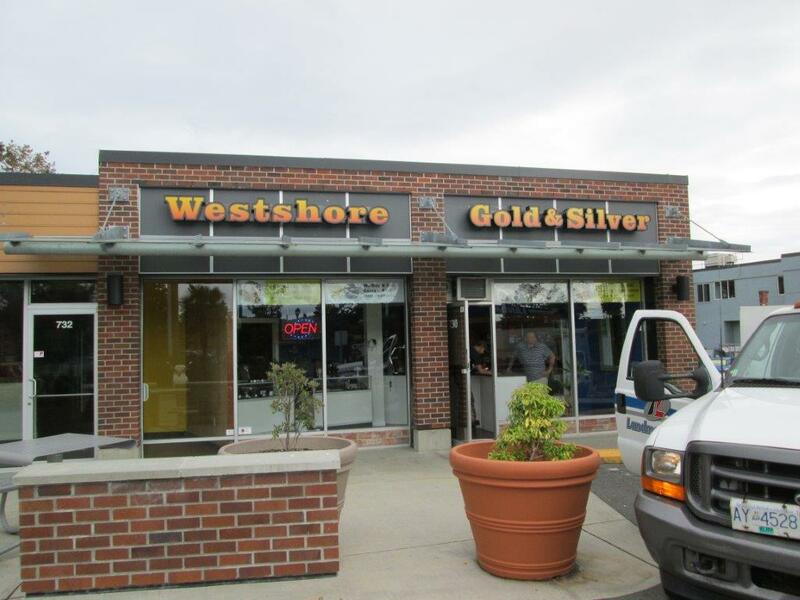 The staff has a long history of experience in customer service and is friendly and knowledgeable. My experience has been a pleasant and professional and I would not hesitate to recommend their services. 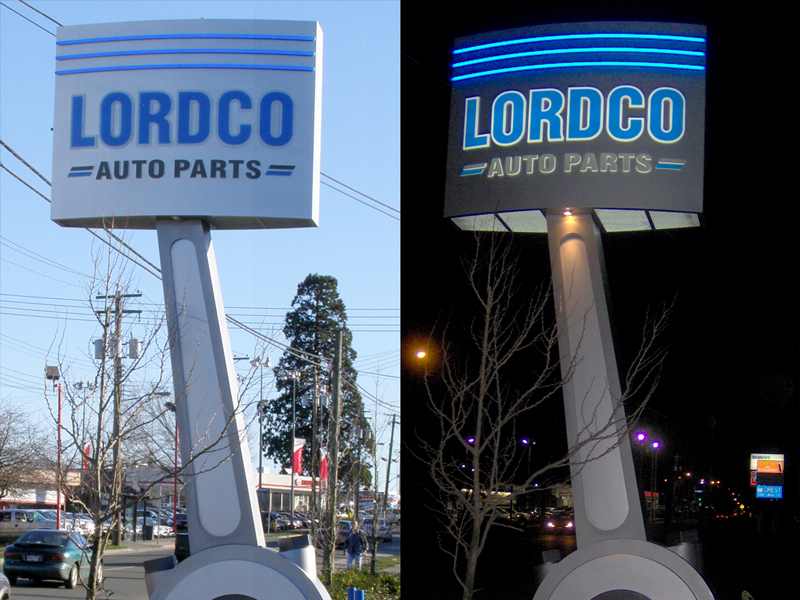 We have worked with Landmark Sign for the last 7 years, with over 3000 projects completed to date. Throughout our dealings, we have found Landmark Sign to be not only a competent supplier, but one that can suggest alternatives, get costs down and projects completed on time. 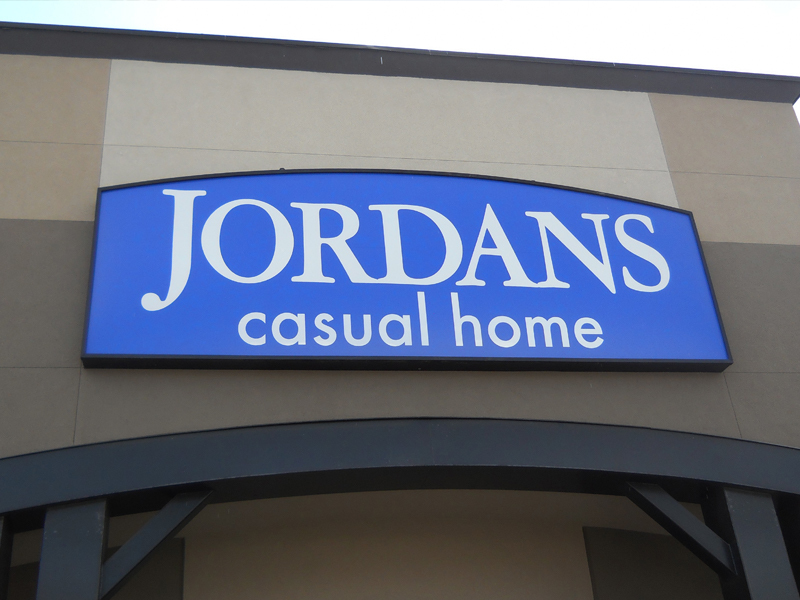 Along with being a genuine pleasure to worj with, Landmark Sign delivers high quality signage at great prices, and is always keeping costs down. 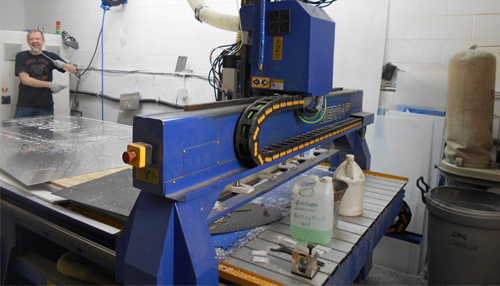 Landmark has helped our company by going the extra mile and they will continue to be our preferred supplier. I personally recommend their expertise and services to anyone. 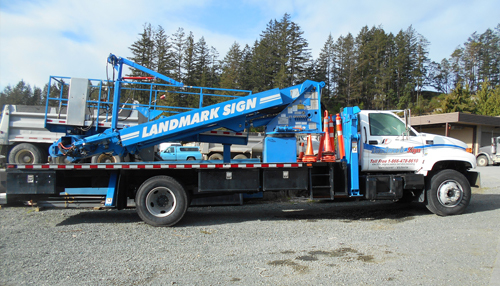 It is my absolute pleasure to recommend Landmark Signs for anyone and everyone on Vancouver Island. Landmark sign worked with me one-on-one on the design and execution of all my signage. My sales agent, Shawn Court has gone above and beyond in assisting me on the launch of my business. I even had items rushed to my door, next day when vandals removed our Grand Openning Sign the night before.I was impressed with the professionalism at their location on Glenshire Dr; where I was given a tour and introduced to the designer. 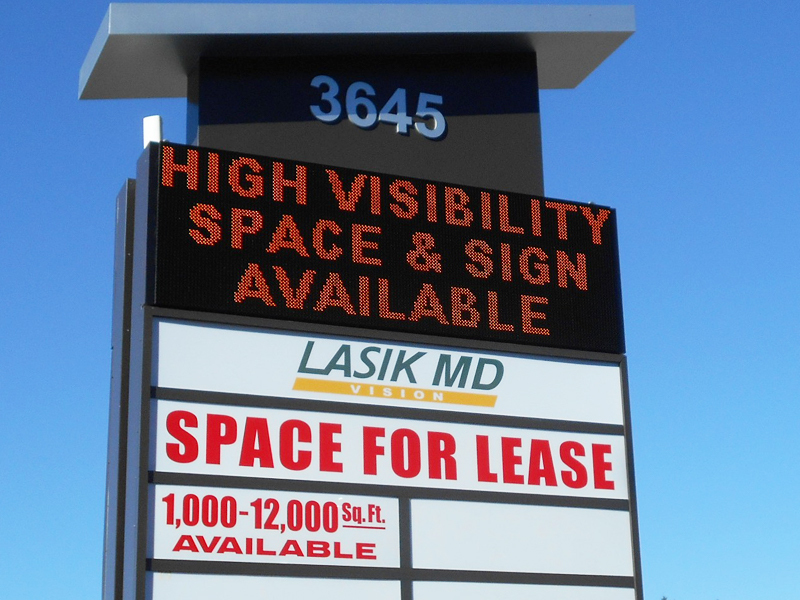 It is an absolute pleasure to have Landmark Sign lookinf after my business.